Who is the father of the Jinn? The ancient world is full of magical secrets waiting to be discovered. One of those secrets is finally revealed to bold occultists seeking to take their magical arts to the highest peak of wonder. I’m going to continue to be honest with you. Numerology is often regulated to the margins in modern occultism. Playing correspondence with numbers might prove philosophically interesting, but it has little genuine practical value. Magic is a practical art. Results speak for themselves. The best results are the ones that you manifest right now in your life. It doesn’t matter what I or some other magician can do. What matters is what you can do, right now, to overcome the obstacles and shape your future. You see, the ancients did more than compare words with the same numerical value. Grimoires summoning the same demons are dime and dozen. Every occultist has those books adorning his or her shelf. The same can’t be said for those secrets known to the masters or revealed in bits and pieces in hard to find esoteric writing. Elemental Numerology is one of those secrets. This is for those fearless magicians willing to use magic to improve the quality of their lives without apology. Get ready to explore the realm of spirits with all its mind blowing manifestations and without the frustrations of limited results. Don’t be fooled by the innocuous sounding Elemental Numerology. It is an ancient decoder of wonder whose purpose is to manifest magical results swiftly and potently. The system has never been revealed before to magicians around the world. Its knowledge remains limited to sorcerers of Egypt and hidden parts of the Arabic world. You don’t need to travel to Egypt or learn Arabic or to serve under a master willing to reveal his secrets. You can a gain a glimpse of this powerful knowledge and begin to apply it in your life right now. The hidden key that binds the letters, numbers, and the Elemental essences that forms the fabric of magic. This is the first time these powerful methods are laid bare to the non-Arabic world. How to form unique magical spells with magnificent capability to change your life by combining the power of angels, jinn, and letters through this ancient decoder of wonder. The mystery of the Macro-Adam, Micro-Adam, Macro-Eve, and Micro-Eve and how to form unique Tetragrammatons for each spell or magical evocation. How to hasten the manifestation of all manner of spirits by using this decoder of wonder to create unique one-time irresistible calling cards that gets attention. I will show you step-by-step how to use this method to manifest $5,000 in seven days. The same method can be used to manifest ten times that over time. The same example can be adapted to help you in any area of your life that you desire. 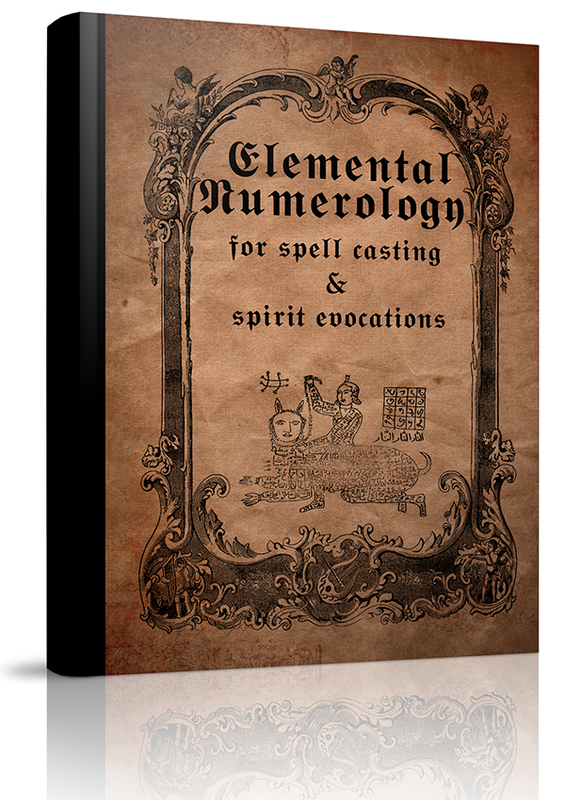 Elemental Numerology decoder of wonder is a skeleton key to magical results. It is easy to use and can help you whether you are a neophyte or a master magician. The only catch is that for this method to work you have to use it. It is perfect for those who really want to do magic that matters. Attend the live webinar on 11th of March and discover even more amazing secrets of these tables and their applications. Receive another set of secret tables reserved only for those attending the webinar. Discover how they too can be used in fast-manifesting practical magic. Be one of the first three to sign-up and receive special spell tailored to your personal needs. I will do all the work for you and show you how to make it work with minimal effort.